Mobile social startups are all the rage these days, and for good reason. The wave started, of course, with the iPhone and other smartphones that allow anyone to create an app.But it’s easy for us in techland to forget that the vast majority of people, especially teens, still have the less advanced feature phones, and those are still big business. AirG is a company based in Vancouver, whose app is mostly on feature phones and has most of the features of a social network, like chat, games and entertainment, got started in 2000, has 55 million users, and is profitable. 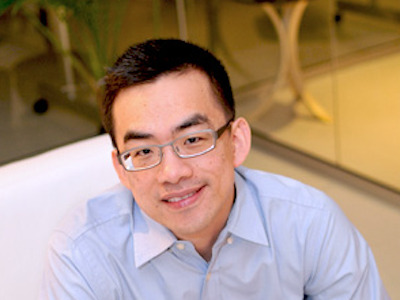 We just had a chat with Founder and CEO Vince Yen, who’s bullish on the future of mobile social networking. AirG works through mobile carriers, and has partnerships with 100 of them in over 40 countries. The app lets you chat with people you know or new people, play games, comment on photos, etc. The business model is a combination of subscriptions (through carriers) and advertising. AirG is on smartphones as well but most of the users are still with feature phones. Of course it’s a bit of a misnomer to compare AirG to Foursquare — it’s mostly a mobile entertainment/media company, rather than a location-based social network like Foursquare. But if it’s not in the same house it’s definitely in the same neighbourhood. We like businesses that are doing well in under-covered segments of the market. People have been going gaga for mobile for 2 or 3 years but there are actually plenty of companies started way earlier that are doing big business on mobile. It’ll be interesting to see which ones adapt to the new reality and which ones (like ringtones companies) crash and burn.